It’s very easy indeed to end up with a sofa arm littered with button-clad boxes. But while after-market multi-device controllers exist, Samsung plans to solve the problem straight out of the box with its new smart TV remotes. 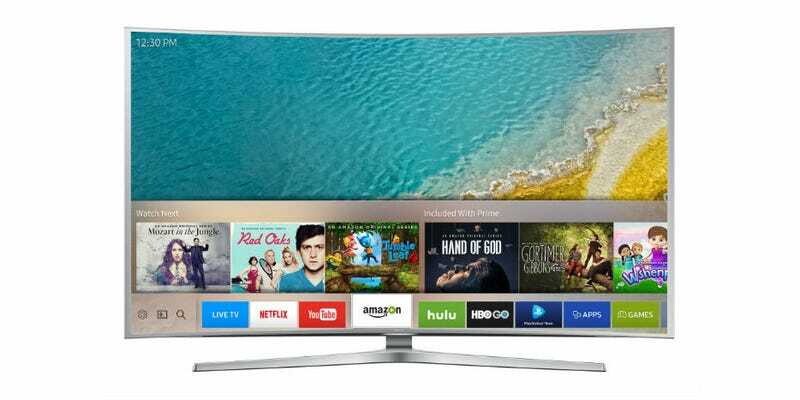 Its 2016 smart TVs will arrive with a new Smart Control remote, which will serve “as a single control unit for nearly all devices connected to a Samsung Smart TV.” The remote will run a version of Tizen to enable its smarts, which should, according to Samsung, allow it to control everything from set-top boxes and streaming devices to Blu-ray players and game consoles. If it works as well as promised, that could make your set-up a whole lot cleaner without any effort whatsoever. At the same time, Samsung also plans to overhaul its smart TV software, with what it’s calling a Smart Hub interface (pictured above). The idea is to bring together content on a main home page to prevent you from having to dive in an out of apps to find content. Not a new idea, but a nice addition if it works well. Samsung will be announcing the hardware that will come loaded with these new features later this week at CES.